Looking for art supplies, craft stores, yarn and fabric stores? Whatever your hobby, these stores located in the Albany area will have what you are looking for. 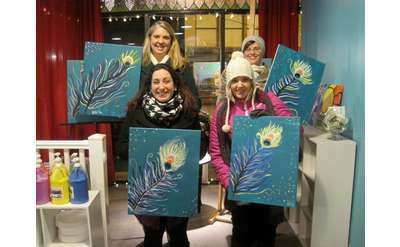 Canvas, Corks & Forks is voted the BEST Paint & Sip! FREE MAC N' CHEESE BAR!! Fun Music, Specialty Cocktails, Seasonal Sangrias, Wine Ice Cream, Craft Draft! Locations in both beautiful hip & artsy historic districts of Schenectady & Troy! A major fine arts museum featuring national monuments, state wide art education programs, artist's presentations at universities & corporations, free seminars on American mass media, and accommodations for public & private meetings and celebrations.